Whether you believe it or not, but fortune telling is fun. Be it a casual get together or a party with friends, a fortune telling based theme will be very unusual and appealing for all. 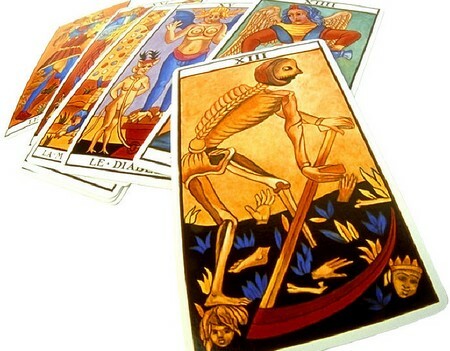 One thing commonly used by most fortunetellers is the tarot cards or fortune telling cards. These have been in use since very old times and have fancy artwork. These cards have artwork that can be very amusing and satirical, for it is either encouraging or scary. However, a set of these tarot cards is very expensive, so a better solution is to make your very own set of tarot cards at home. First and foremost, you should have knowledge on the subject for there are many different types of fortune telling cards that can be made. Tarot is one type of fortune telling card. Do some research and combine desired elements from different sets. Search on the Internet regarding what makes every other set more distinct and amusing than the former. You may select a hybrid of different cards from different sets, or simply the traditional tarot. Now, cut cardboard pieces to serve as a base for your tarot images to paste on, or use existing cards as base for the same. If you have cards, use them for it will save you lots of time. Try to be inventive for you will require artwork for your tarot cards. Many websites on the Internet will provide you the traditional artwork. However, a personal touch would still be more tempting. Go in for your photographs or some of your own artwork on the cards to personalize them. You can use an image editor to give them the required touches on any computer. Now, create a box. The box should be as stunningly beautiful and mysterious as your cards. This will give a very good impression of you for your guests will be marveled to know that the work has been done with such precision and fineness. In case you are undertaking this task for yourself only, it would still be worth the effort. Now, try to read the cards on yourself before attempting on others to ensure that the edges are smooth and shuffling is easy. You may even decide to adjust the shape to enhance the usability. Remember that tarot card reading is a fun time pass activity always. To have your own tarot cards would equal easy entertainment for guests. But do not take the readings very seriously. Do not forget that your purpose is only to have fun.